Crypto arbitrage in China used to be a thriving business due to China’s infamous ban on almost everything related to digital currencies. However, the demand for so-called Bitcoin “mules” and peer-to-peer (P2P) platforms has fallen, Reuters reported. Arbitrage is the simultaneous purchase and sale of an asset to profit from a difference in the price. It is a trade that profits by exploiting the price differences of identical or similar financial instruments on different markets or in different forms. After China closed their crypto exchanges for good, an underground system of “mules” and P2P networks sprung up to fill in the void left by the strict measures against them. An underground trader would buy cryptocurrencies in other markets and sell them at a premium to investors in China, who are ready to pay more since they have no other choice. When January saw the height of demand after the sky-high prices of December, underground traders were able to sell Bitcoin for 30% to 40% percent more than its price elsewhere. But this premium has fallen to around 7% percent since the business became swamped with Bitcoin mules, who physically carry cash across borders for the trades. 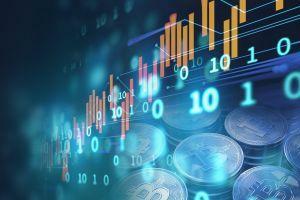 Cryptocurrency funds and individual computer-assisted traders have also piled into the market. Li, a Canada-based Chinese banker in his 20s, is one of these underground traders, told Reuters that his arbitrage activity nets him about USD 18,000 a month on a trading volume of about half a million dollars. One form of crypto arbitrage belonged to geographical differences, where traders would buy coins in crypto-friendly countries and sell them in banned markets. Another used crypto exchanges, where some platforms would offer better prices, so they could sell those for a profit on more other platforms. Although such profits are not very significant when trading among large platforms, it is not unheard of to try. A helpful tool would be a price tracker, developed by Cryptonews.com, where traders can see which platforms are the friendliest for both buying low and selling at a profit. For example, at press time, one can buy bitcoin at Bitstamp for USD 7,368 and sell at HitBTC for USD 7,595.